MUMBAI: Grammy Award winning singer-songwriter Bryan Adams, who once wrote a song about Princess Diana, says they were very good friends unlike the reports that stated that they were once "romantically involved". The Canadian singer, 58, was asked about the late British royal while on Watch What Happens Live with Andy Cohen on Monday night. Cohen asked: "There are many rumours that you and Princess Diana were once romantically involved. Her butler said that he used to sneak you into Kensington Palace. How would you characterize your relationship with Princess Diana?" To which Adams said, "Great friends. And she didn't sneak me in, I would just roll up." "Friends with benefits?" Cohen asked. "Um, she was just… we were good friends," Adams replied. ,MUMBAI: Popular Canadian singer Bryan Adams has unveiled the title track of his upcoming album, Shine A Light. Adding more power to the song is Grammy Award winner Ed Sheeran, who has co-written the song. 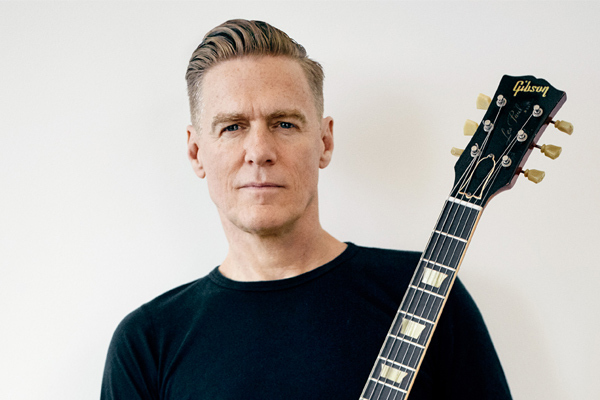 MUMBAI: Legendary Canadian singer-songwriter Bryan Adams will light up home grown arenas on a five-day greatest hits India tour in October 2018 for his nineteenth concert tour. Weekend Wrapup: News that kept us glued! MUMBAI: Its Friday, today, and we are heading towards another happening weekend. But, before you guys step into the holiday mode, you have to surf through the top happenings of the preceding week. Hence, we have brought the sizzling weekend wrapup for you guys to have a look!